If you’re looking for a delicious brunch in a super cute setting with mouth-watering cakes to devour afterwards, Alyssum is the place for you. In a predominately student populated area, you could easily drive past Alyssum, based on Barber Road, Crookesmoor, if you weren’t looking for it. It’s tucked between a few shops and is really quaint. With just a few tables inside, surrounded by ornate, homely décor, you’re in luck if you get a table straight away. This popular brunch spot is a very foodie place indeed and an Instagrammers haven for sure! Instagram is in fact how I stumbled across Alyssum and after browsing through their pictures it was quickly added to be brunch ‘to do’ list. After the gym one morning, I finally headed there with my friend Jade. 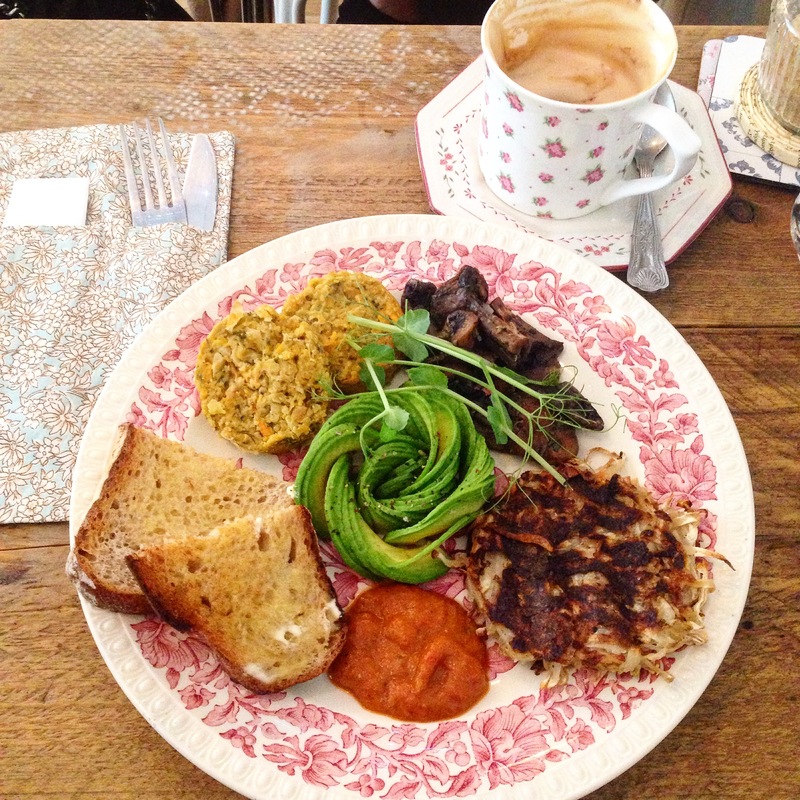 We both had the vegan Alyssum breakfast which was made up of a potato rosti, house-made tomato and pepper smoke paprika salsa, sautéed mushrooms, falafel and avocado. It was absolutely delicious, not to mention beautifully presented. The menu speaks for itself, with plenty of choice and lots of delicious Greek options for breakfast, brunch and lunch. Take a look for yourself here to get those taste buds tantalised. Beware though, you’ll definitely want a cake afterwards! The cakes change daily and although I didn’t try one on my most recent trip, it’s safe to say I’ll be back to try one asap. Check out their website here for some seriously insane pictures of their cake creations. They even make vegan chocolate cake too! 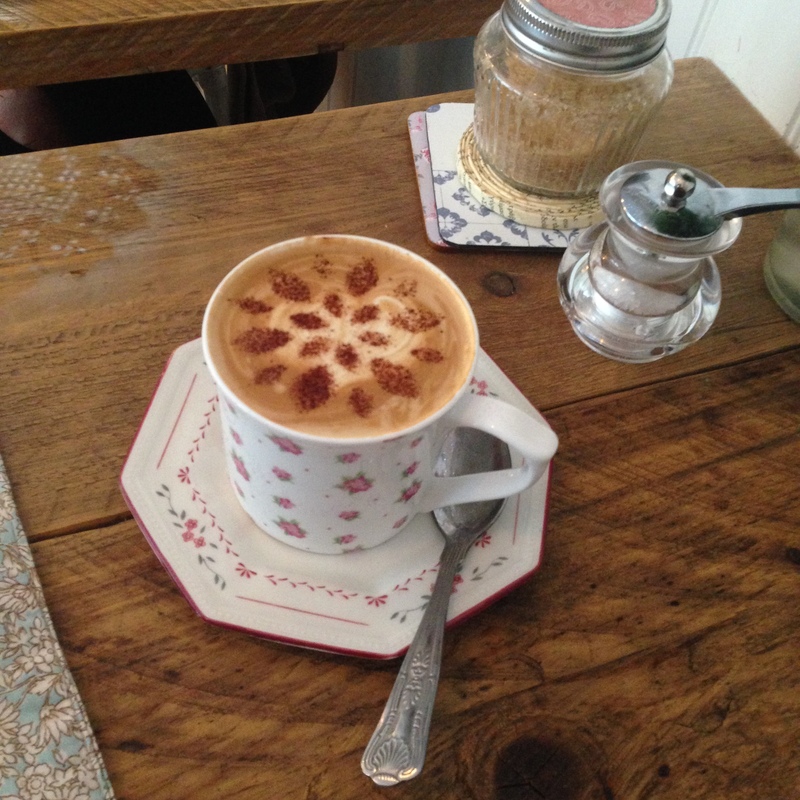 Alyssum’s tasty creations don’t stop there though…we need to talk about the coffee! Both Jade and I devoured two cappuccinos (almond milk for Jade, soya for me!) with vanilla syrup in one and hazelnut in the other. They were SO good, seriously – so good! I love coffee. Not to mention, they were presented beautifully as well. The menu and pictures speak for themselves but once you’ve read the menu and looked over their Instagram feed, get yourself in the car and head over there! « My week in training – 50 days to go!